We love salmon around here. 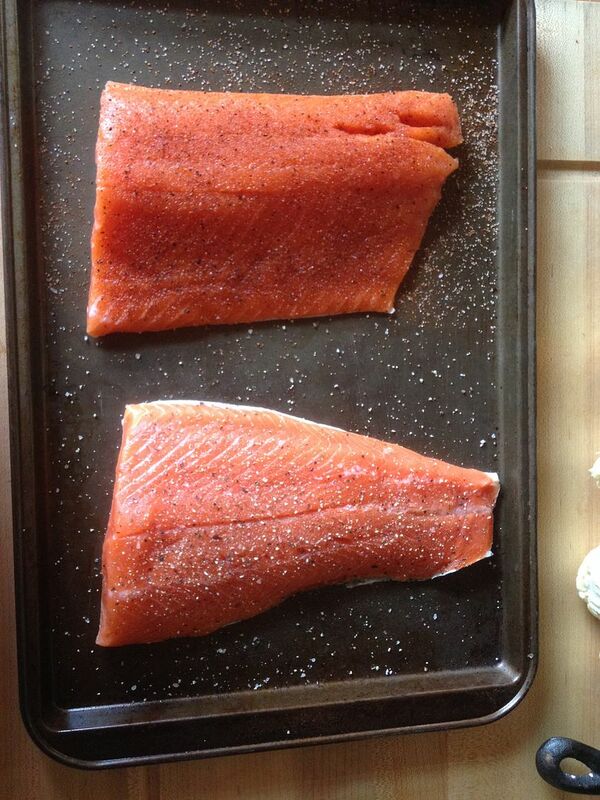 Especially steelhead salmon. 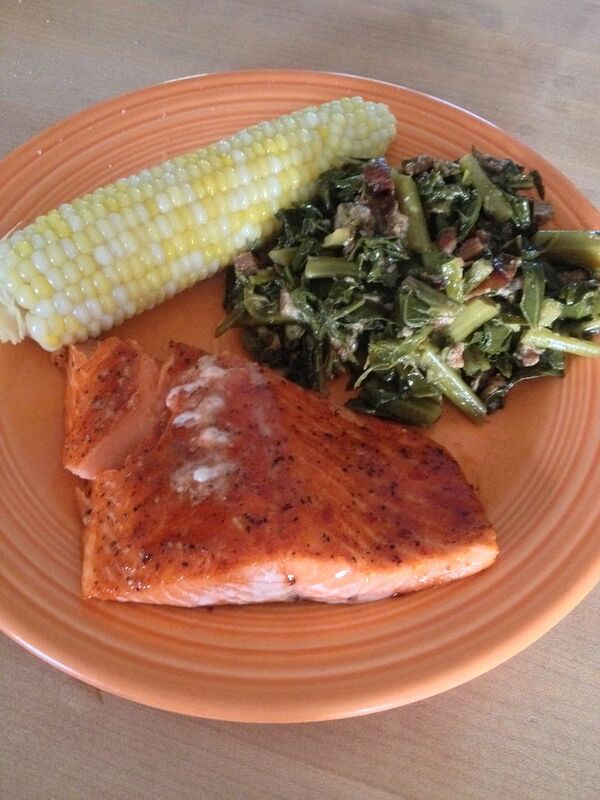 There is an added flavor to steelhead that you just don't have with salmon. Perhaps it is because it is milder and a bit fattier in my opinion. Lucky for us we can buy it at Costco for $5.99 a pound when on sale and it is reasonably priced when not on sale. We try and eat steelhead about once a week. But, as I am sure most of you have experienced, you get bored with the same foods prepared the same way, week after week. 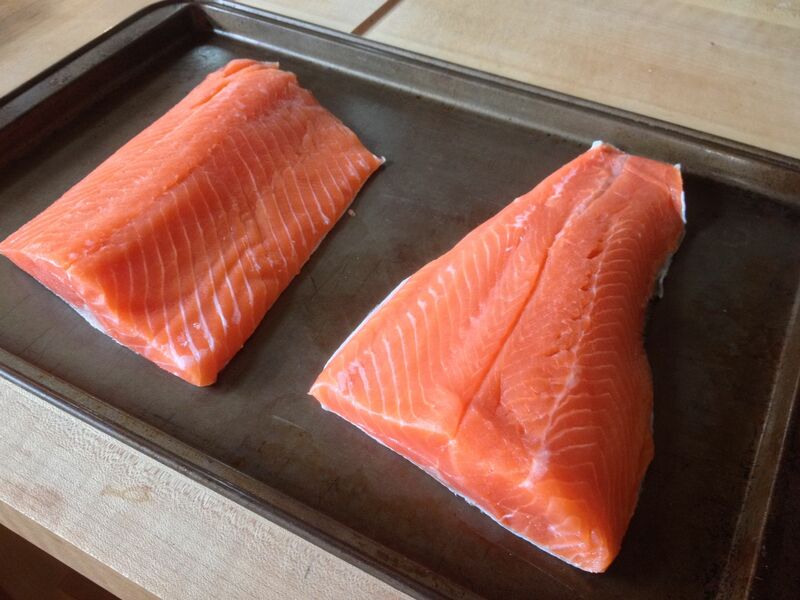 So, this past week, I decided to experiment with our steelhead. Off to the R&D labs. After thawing our steelhead, I rinsed well and patted dry. Then, I put a thin coating of Oakridge BBQ Game Bird and Chicken rub on my fillet and let sit on the counter top for the rub to form a liquid crust. Don't get heavy handed with your rub application. you do not want to over power the flavor of the fish. You just want to compliment the flavors. Then, I fired up the charcoal grill. When ready, I placed the fillets on direct heat. When the fat starts to come out of the meat, that is the first indication you are almost done. I applied a very thin coating of Blues Hog Tennessee Red BBQ sauce to my fillet. Any BBQ sauce will work. I would suggest one with a higher vinegar content such as the Tennessee Red. 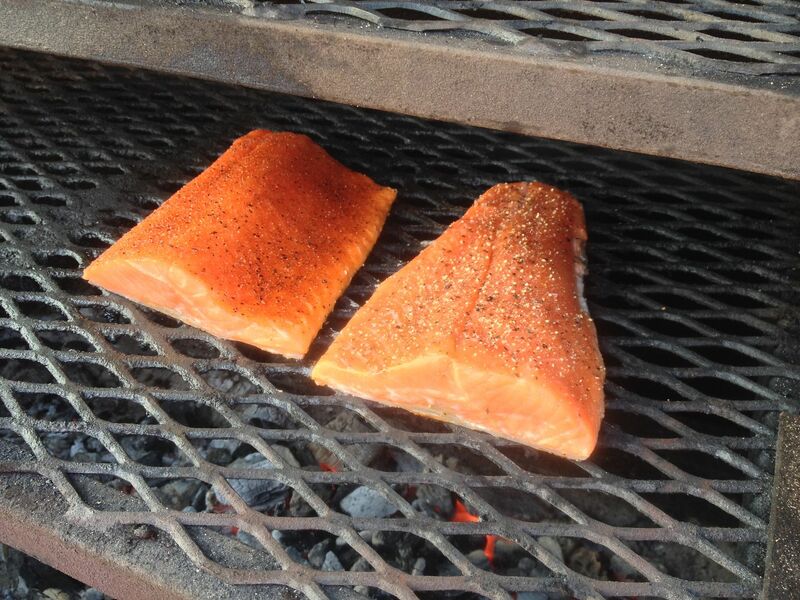 The acidity cuts through the fattiness of the steelhead. I brushed the sauce on the fish, closed the lid, and came back five minutes later. Done! I served with fresh corn on the cob and collard greens. More on the greens later. Ours are just about ready to pick in our garden. 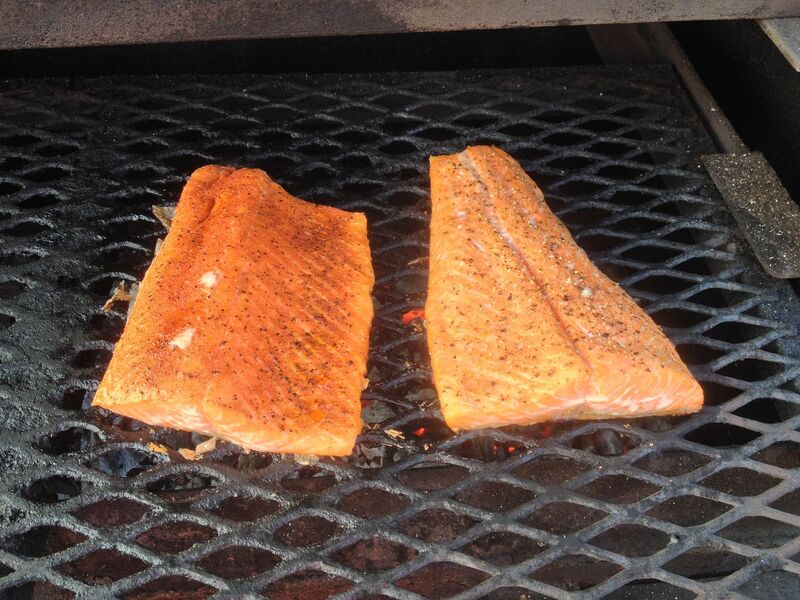 BBQ pairs well with steelhead. The flavors of the rub and sauce go well with this meaty fish. If you are bored with the same old fish, give this a try. I wish I could try that. It looks yummy. Ms. Goofy will rarely eat fish. I would have to cook and eat that for myself. My friend has been bugging me to go King salmon fishing. They have been doing well. I am tempted but if I caught anything I would have to eat it myself. Boo Hoo.